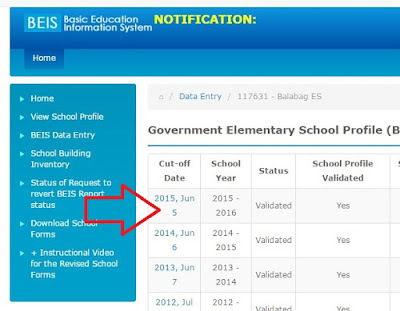 Unavailable PDF to be printed or download from EBEIS account of every school is the common problem every School Head, School System Admin, or School ICT Coordinator is facing. Since some of them are still in the processing of learning in using the system, they don't know that there is an option or solution on how to print their GESP/GSSP raw report direct from EBEIS site. Now fellahs, this is how you're going to do. 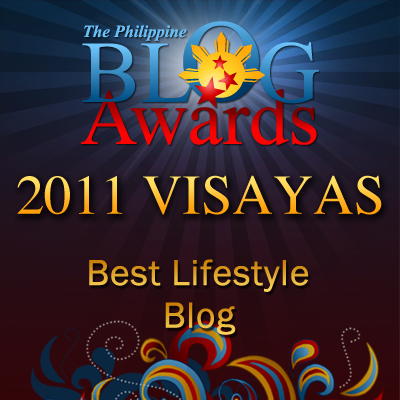 Log in to your EBEIS account. 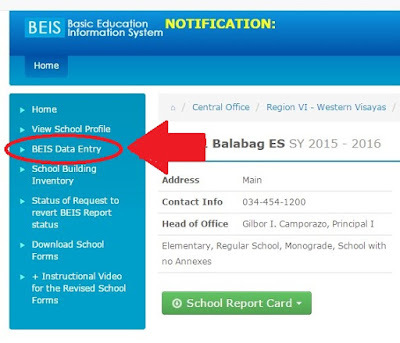 Or when you're in your LIS account, just click EBEIS button there and you'll be directed to your EBEIS account. When you're in your EBEIS, click BEIS Data Entry. 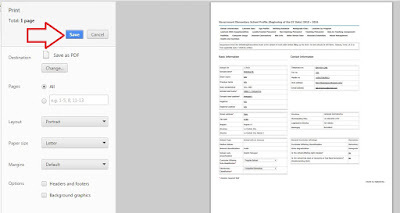 Data Entry page pops up. Click the needed profile: elementary or secondary. 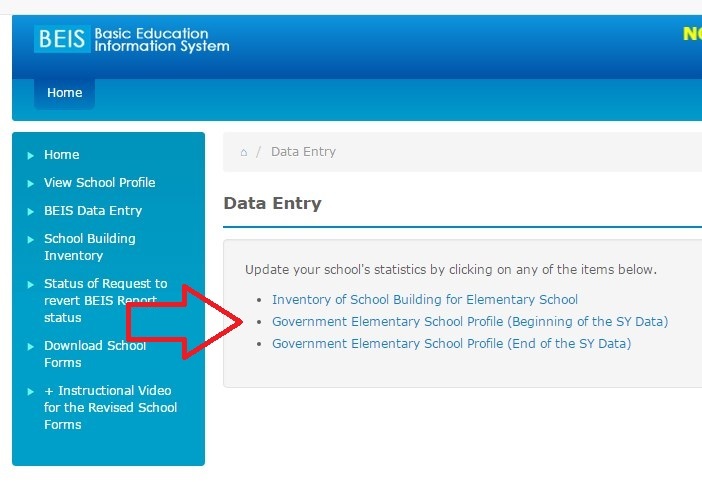 At the School Profile, click the date link found below the Cut-off Date column. 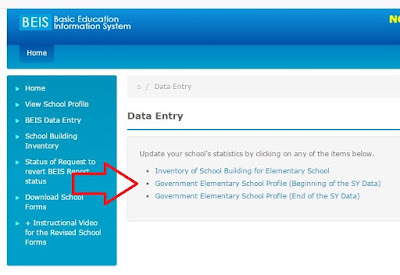 Then the different button from School Information, Learners Data to Health and Nutrition are displayed. If you want to print them, just click them one at a time. 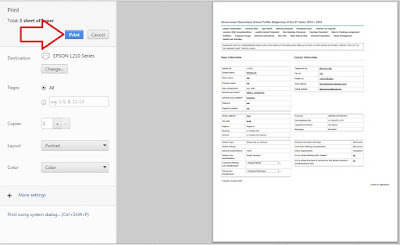 You want to print School Information, from the keyboard press CTRL+P. Take note, however, if your printer is not found. 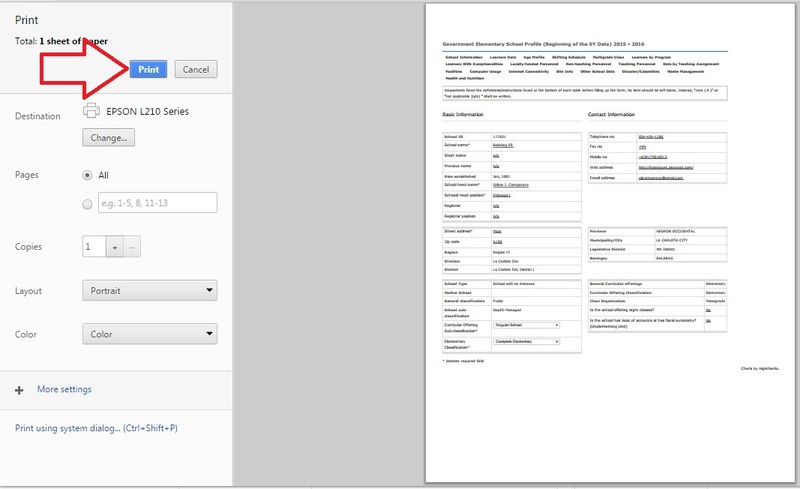 Click "Change" button to select your available printer. Now you're ready to print it. 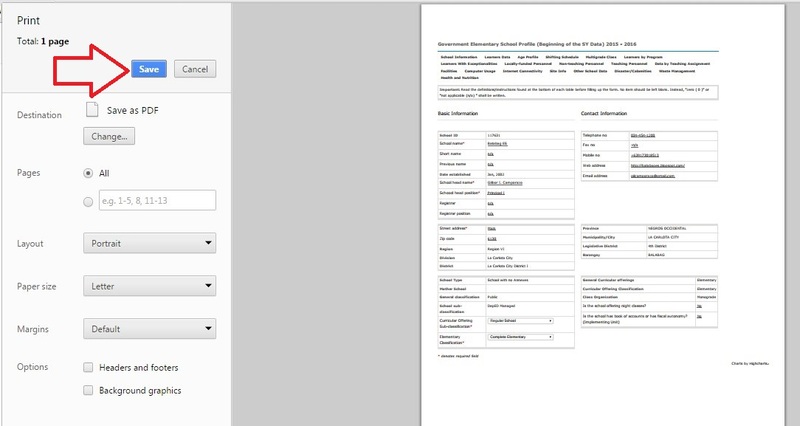 In case you don't have a ready printer, you may save it by clicking the "change" button. Then click "Save as PDF". You will be prompted to Save preview. Click "Save". And you're DONE. Take your time. Any queries, address them to LIS/EBEIS Help Desk at the Facebook.